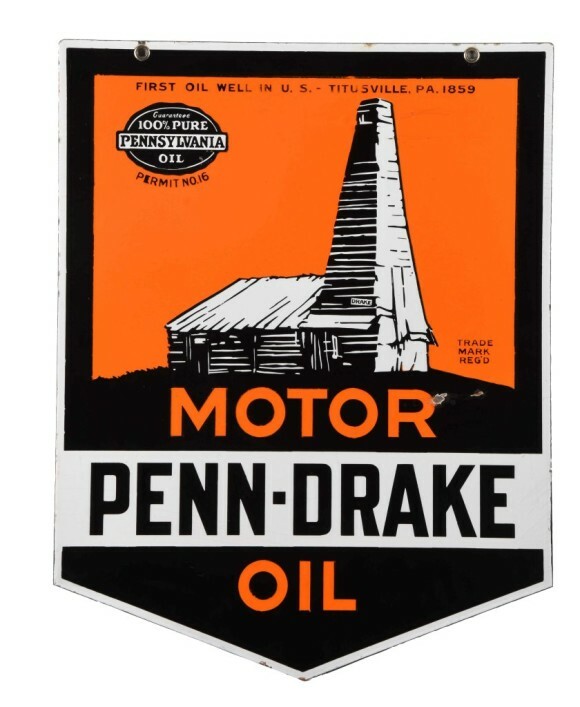 This old Penn Drake Motor Oil sign is a nice DSP example in black, orange, and white. In the center is an oil well that is very geometric in shape. The text on the sign reads “First Oil Well in the U.S. – Titusville, P.A. 1859. Guarantee 100% Pure Pennsylvania Oil, Permit No. 16. Trade Mark Reg’d. Motor Penn Drake Oil.” This sign is a large 27″ by 21″.